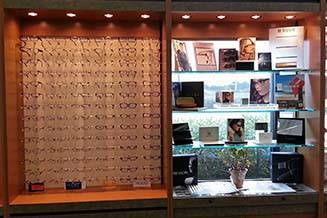 Dr. Tuan D. Dang provides West Pearland eye care services and eyewear products. We truly care about the health of your eyes, ad offer local vision care to all family members. 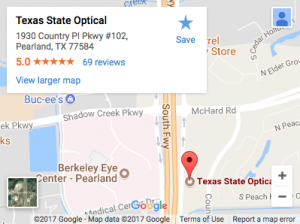 We provide West Pearland eye care services as well as serving the needs of Manvel, Missouri City, and South Houston. Texas State Optical West Pearland’s eyewear store stocks designer eye frames & sunglasses, contact lenses, and we offer eye exams, as well as the management of ocular diseases. Our West Pearland eye care clinic accepts a number of Insurance plans to help cover the cost depending on your individual needs. Our Pearland Eye Doctors and eye care staff are professionals trained in eye care for the whole family - young and old. 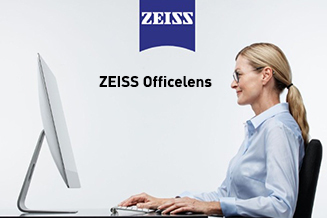 Our optical nearest you is ready with beautiful, functional designs. Stop in to see our eyeglasses and sunglasses collections. Digital Eye Strain affects millions of people every day. At TSO Pearland, we match your lenses with your lifestyle. Dr. Dang was not only highly professional, but is also very friendly. We talked about everything from going to U of H to the future if technology. The office was very clean and accommodating to my young kids, which isn't always the case. Thank you Dr. Dang for the great service in the neighborhood. Great personal service and like the wide variety of lenses. The best eye doctor I have ever received service from in my entire life. I am a lifelong glasses and contacts wearer and Dr. Dang is so thorough, so knowledgeable, so kind and very informative. He takes his time to ensure that your eyes are feeling the best and educated on what you as a patient can do to protect your vision. He has always treated with me as a patient and never as just another number. Doctors like this are rare. Dr. Dang’s wife is also a gem, she is so sweet and kind. I truly look forward to these appointments as I know I will be taken care of. Blown away by the level of service the Doctor provides. he spent a lot of time making sure my prescription was perfect. probably 50-100 iterations of lenses. most of the time, i might have had 10-20 total. he takes the time which i appreciate. highly recommend. Dr. Dang is amazing and really cares! I've been coming here since 2017. Each time I'm impressed with his knowledge and know my eyes are in good hands. He even recommended that I visit my primary Dr. because of my blood pressure. I'm glad I did. His wife who works the front desk is also kind and patient. Great atmosphere ! Dr. Dang is wonderful. I come here for my annual checkup and contacts. The office is great and they are very friendly. I always have a great experience. We are very excited to offer our patients the NEW Topcon 3D OCT-1 Maestro Retinal Camera! 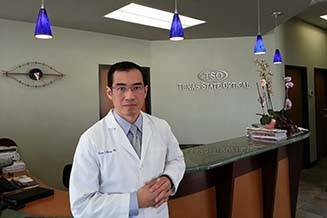 Our Pearland optometrist, Dr.Tuan Dang, provides you with expert care, advice and options for the best eye care. He follows up making sure your needs are met, whether you are a new or old patient. As an eye care professional, Dr. Dang is committed to providing the highest standard of care for his patients. 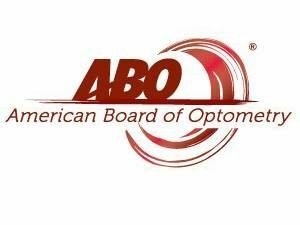 He proved his commitment by earning Diplomat status with the American Board of Optometry. To earn Diplomat status, a doctor undergoes rigorous examination which demonstrates that the doctor has maintained his or her knowledge base, kept up with new developments, and provided quality patient care. An eye doctor must also demonstrate his or her commitment to life-long learning. Dr. Dang’s Vietnamese upbringing taught him the importance of family, and dedication to building long-term relationships through honesty, respect, love, and care. Every patient is unique, with differing eye health needs, and changes during their lifetime. The 5 human senses provide our connection to the world around us. Our most precious sense is our vision since 80% of all impressions we perceive are through our sight. Comprehensive eye care goes beyond a prescription for glasses or contact lenses. At our Pearland Eye Care Center, we take the time to get to know you, your eye care history, and your vision needs. From our Pearland Eye Doctor office we serve patients from Pearland, Manvel, Missouri City, and South Houston, TX communities – schedule an appointment today..